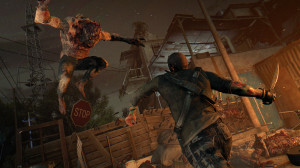 In Techland’s Dying Light, you play as Kyle Crane, a Global Relief Effort agent, on a mission to track down a wanted terrorist in a city overrun by the undead. 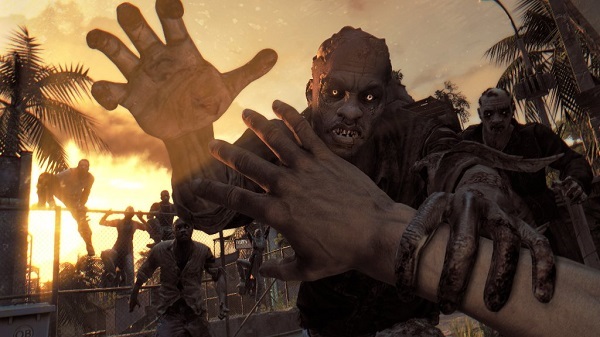 It needs to be said that Dying Light surprised me in ways that I couldn’t have imagined. 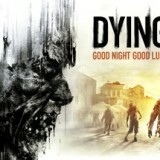 It presents a refreshing spin on the whole zombie- apocalypse take of the survival horror genre. 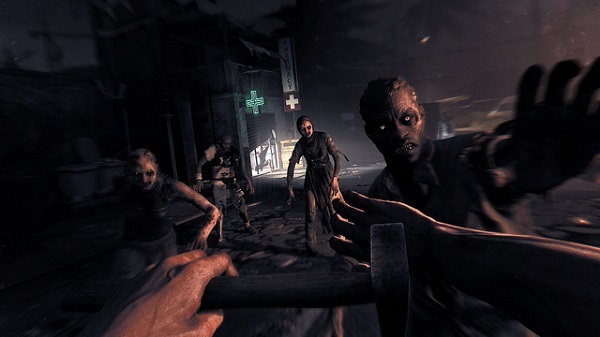 In this game, you’re faster than you’ve ever been in a survival horror game, and as we all know zombies are slow enough that just being able to get around quickly makes dealing with the undead a much more menial task. The city of Harran is yours, you’re quick enough to make the city of Harran your playground (and it’s a big one), using parkour skills to attempt feats that few of us can even dream to pull off. 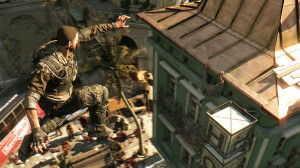 Parkour is one of the biggest draws in this game. Admittedly, you start out a bit clumsy and it isn’t that smooth, but as you level up, you’re able to unlock abilities that make it so you can vault off of your enemies heads, and run up/jump off of walls. Still, you’ve got to be careful, the more reckless you’re willing to get, the more risky things can get for you. After all, it doesn’t matter how good your parkour skills are, a four story fall is going hurt. A lot. Fighting is handled the same way as parkour; you start out with the basics, and really, all you’re capable of is clumsily swinging your weapons back and forth, hoping to get a few lucky hits in on your undead foes. As you get stronger, things get a bit easier, you’re able to unlock skills that allow you to fight longer without getting tired, and even give you a chance to save the limited amount of repairs a weapon is allowed to restore its durability. This being said, fighting is always a bit awkward; a fact that makes itself very evident when you’re doing challenges that require you to attack a certain parts of enemy’s body. Still, even through its awkwardness combat can be fun, especially when you take the time to add modifications to your weapons, like electric damage that arcs from enemy to enemy, or after you’ve crafted throwing stars that explode on impact. After a few missions, the game’s day/night cycle becomes dynamic, and everything happens real time. This means that you’re going to have prioritize. On top of doing quests (some of which can actually be pretty entertaining), you’ve still got to go get those Antizin drops if you want the extra experience and supplies, and if you take too long to get to them, you will lose them. During the night, things change. The city isn’t yours anymore, it belongs to the creatures of the night. 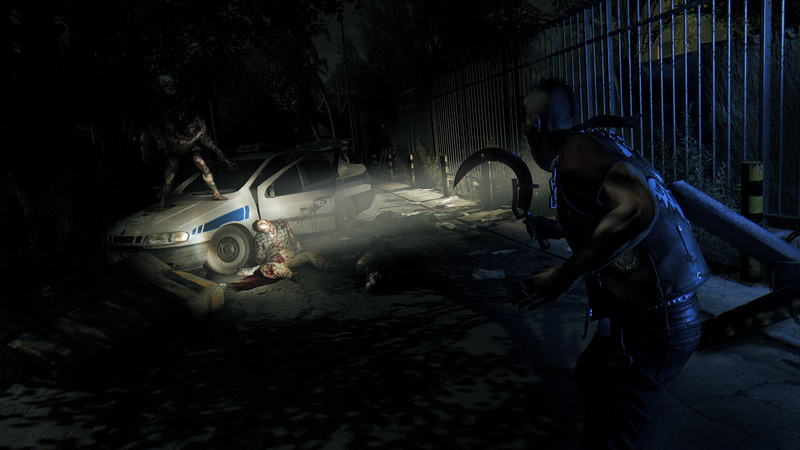 When the sun goes down zombies become much more aggressive, so much so that they not only fight harder, but are capable of sprinting, and chasing you down throughout the city, despite your peerless athleticism. On top of this, you’ll be introduced to a new type of zombie, the Volatile. These are faster and more dangerous than anything you’ve seen before, and even if you’re able to put distance between one and yourself, they can hit you with a deadly acid spit. At night you’ll be tested, pushed to use everything at your disposal to survive, your parkour skills, a UV light that weakens Volatiles, and even a variety of traps that can distract and (with luck) kill them. This probably all seems a bit terrifying, but the worst is yet to come. If you’re out too long at night, you’ll have to face the most dangerous enemy of all, “The Night Hunter”. The Night Hunter is faster than you, literally by leaps and bounds, and if it catches you off-guard for even a split second, it can eviscerate you within seconds. This is where your skills are really put to the test, as players need to take advantage of the rooftops and winding- alleys. Seeking as much protection from the hunter as possible, all while making an attempt to destroy the Volatile nests that the Hunter protects. Oh, and here’s a helpful tip; the traps used on normal Volatiles won’t work on the Night Hunter, because staring through the eyes of this deadly foe, is another player. Although the hunter’s pounce ability is its most powerful (it can kill a runner in one shot), it’s also the most risky-move in its arsenal. The Hunter’s weakness is UV light, and it’s a big weakness. UV light causes the Hunter’s energy to drain rapidly, disabling their pounce ability, and if they’re completely drained, they unable to even sprint, or use their Tendril Locomotion, leaving them in a very vulnerable position. Still, even with this huge weakness, the Hunter is a force to be reckoned with. The Hunter levels up just as players do, and it becomes more and more dangerous as it does so, allowing it to block out UV lights, and even tackle its prey, sending a target plummeting to death from deadly heights. I think the biggest disappointment I faced in this game was the story itself. While I felt like the gameplay brought something fresh and new to the table, the story was highly predictable at times. It was also hard for me to care about any of the characters who I met throughout the story. No one gave me a reason. As a plot device, Antizin disappointed me. Whether or not you’re able to get to an Antizin drop before other survivors doesn’t affect you at all. They award you with experience, flares, and medkits, all of which are useful, but they do nothing to affect the story. Even Crane’s infection (which could potentially turn you into a freakin’ zombie) is only revisited a few times. You’ll know the virus is affecting Crane when your stamina bar is drained, and you can’t really do much, but this only really ever happens when you’re walking down lonely hallways where there are no enemies to be seen. There’s also the lack of things to do after beating the story. If you’re anything like me, by the time you’ve reached the end of the campaign, you’ve probably done all of the side quests available in the game. I’ve literally maxed out everything I can; power, agility, and survivor level, and there’s nothing for me to do with it. Sure I can join my friends’ games, and help them out with what they’ve got going on, but the fact is, I’ve already done it all. Now all there is for me to do is to play the Be The Zombie mode, which allows you to play as The Night Hunter. Sadly, it has to be said that even that is a challenge, on multiple occasions, I’ve only been able to get into 3 matches in a span of 4 hours. Sometimes I felt like playing as the Hunter was even more exciting than the campaign. Be the Zombie presented a great Cat and Mouse dynamic, and depending on the skills of other players, it really kept me on my toes. As a survivor, only a few other players even came close to stopping me from destroying the volatile nests during the invasion, regardless of how high my level was. Not much changes during co-op play, in fact when playing with another person, you might noticed you’re the exact same person. Character customization is almost non-existent, only allowing you to pick from a few different outfits (after beating the game with 100% completion I have 4). Other than doing anything you would normally be doing, the game does allow you to start up, multiplayer competitions, such as, “Find the most loot,” Race to the Checkpoint,” and kill the most zombies,” but I’ve only been able to get one other person to actually join in on those activities. In the end, I have to say, I really did enjoy Dying Light while it lasted, but it didn’t really last too long, and I’m just too disappointed in untapped potential to rate this game any higher than an 8. For now, I’ll probably just continue playing as the Night Hunter, terrorizing other players…If I can manage get into a match.